From unlikely beginnings as a failed silkworm farm to the third most Instagrammed place in London, Buckingham Palace, the official residence of Queen Elizabeth II, contains 400 years of British history within its many-windowed walls. The history of Buckingham Palace can be traced back to 1608 and a folly of King James VI and I, the first monarch to rule over a somewhat united Great Britain. Envious of France’s prowess as a producer of the luxurious silk that dominated 17th-century fashion and keen to develop a rival operation in London, the king planted mulberry trees on which to rear silkworms on the land where the palace now stands. Unfortunately, or perhaps as a result of intentionally bad advice from French adversaries, the enterprising British monarch chose the wrong type of mulberry. He ordered 10,000 black mulberry trees; however, when fed on anything other than the leaves of white mulberries, silkworms produce coarse thread – a far cry from the luxury item the king desired. As a nod to these humble beginnings, a national collection of 38 named varieties of mulberry has been tended in the palace grounds since 2001. Poet and politician John Sheffield, 1st Duke of Buckingham, built Buckingham House – note that it was not yet a palace – in 1703. A stately home had stood on the site long before it came into Sheffield’s possession but he wanted to rebuild it according to his own tastes. The main part of the house cost the princely sum of £7,000, the equivalent of £1.6 million today. 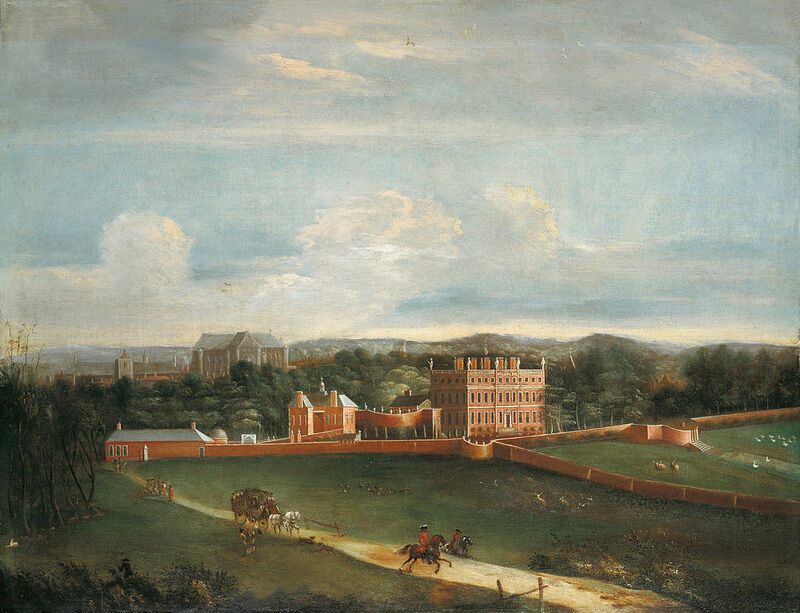 Buckingham House remained the home of the Dukes of Buckingham until 1761 when King George III acquired it as a family home. The ceremonial centre of court remained at St James’s Palace, making the house conveniently located for work but far enough from the trappings of political life to provide some domestic shelter. Still an informal residence, Buckingham House began to be known colloquially from this time as the Queen’s House. When did Buckingham Palace become a palace? 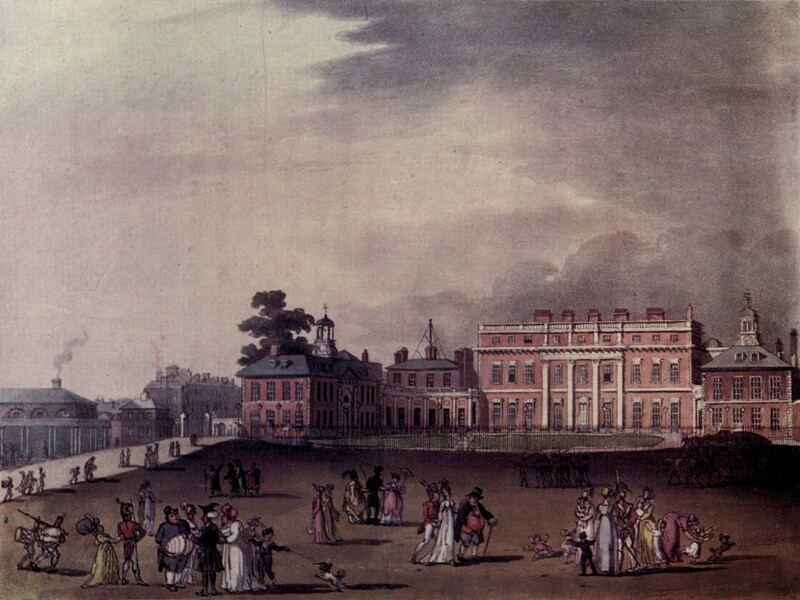 George III’s successor, his son George IV, was the first monarch to see palace potential in Buckingham House. With the help of his architect, John Nash, he converted it into a full-scale residential and ceremonial palace. Nash retained the core of the house to try to save money, which dictated the floor plan, ceiling height and proportions of many of the rooms, but he still managed to blow the budget. The initial government-approved sum of £150,000 bloated to nearly £500,000 – over £50 million in today’s money – by the time Nash was fired in 1828, three years into the project. George IV didn’t live to see the project completed, dying in 1830 from complications of his severe obesity. His successor, William IV, continued renovations, hiring Edward Blore in Nash’s place. However, the new king had little desire to leave his home at Clarence House and instead offered the palace as a replacement for the Houses of Parliament when they were destroyed by a fire in 1834 – a gift that was rejected given the building’s unsuitability to parliamentary use. When did Buckingham Palace become the official royal residence? A mere three weeks after Queen Victoria became ruler of the United Kingdom of Great Britain and Ireland on 20 June 1837, the 18-year-old monarch became the first sovereign to call Buckingham Palace the official royal residence. However, the palace was far from perfect: few of the toilets were ventilated, the bells didn’t ring and many of the hundreds of windows couldn’t be opened. The palace’s shortcomings as a family home were further realised after Victoria married Prince Albert in 1840. Unhappy with the lack of a nursery and plentiful guest rooms, Victoria commissioned Blore in 1845 to build an east wing around the courtyard. Financed in part by the sale of the Royal Pavilion in Brighton and finished in 1847, the project’s most significant addition was the central balcony (a suggestion of Prince Albert’s), from which the royal family has since waved to many an adoring crowd. More changes followed, including the relocation of Marble Arch to the northeast corner of Hyde Park in 1850 and the addition of new galleries, a dining room and a ballroom to the palace’s southwest corner between 1853 and 1855 by Nash’s pupil, James Pennethorne. After Albert died in 1861, Victoria left Buckingham Palace for Windsor Castle. How did Buckingham Palace fare in the Blitz? Her comment referred to the 57-day blitz that essentially levelled East London and highlighted how the horrors of war affected all British people regardless of status. 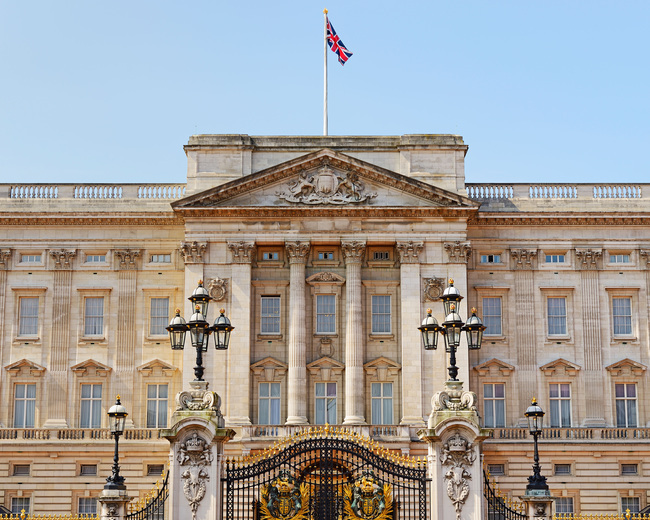 Today, Buckingham Palace is home to the current British monarch, Queen Elizabeth II. Since its initial construction 400 years ago, it has grown into a truly regal palace, now boasting 775 rooms, spread over 77,000 square metres, and 800 members of staff. Most of the year, visitors can only access the Queen’s Gallery – or attempt to get a rise out of the famously stoic guards outside. In the summer, other parts of the palace are opened for guided tours. Anyone hoping to take a selfie with the Queen should first check which flag is flying above the palace. If it’s the Royal Standard – a flag with four quadrants, three containing red lions on gold backgrounds and the fourth a gold harp on blue – Her Royal Highness is just metres away carrying out her queenly duties, or maybe just sipping some tea and peering through one of her 760 sets of curtains. This is an updated version of a story created by Charlotte Gunnell.